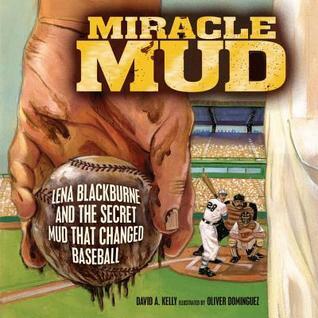 Nonfiction Monday will be at BookTalking next week on March 25, 2013, so get your nonfiction reviews ready! 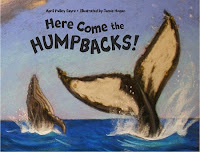 Laura Salas has Here Come the Humpbacks, a beautiful new picture book by April Pulley Sayre chockablock with information about whales! 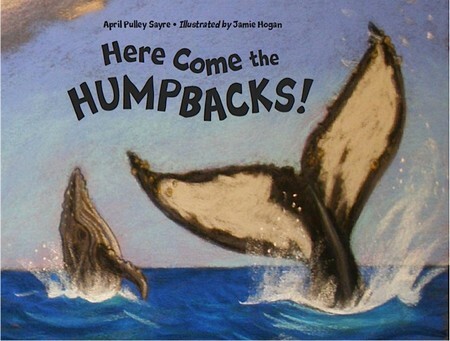 I learned that humpback whale mothers lose 10 tonnes of weight after they give birth. I think I need to go swimming more often! Jama has a guest post from the creators of Yummy, Shelley Rotner and Sheila M. Kelly. I can't wait to see the healthy food choices. Did you know Jama is the author of Dumpling Soup? 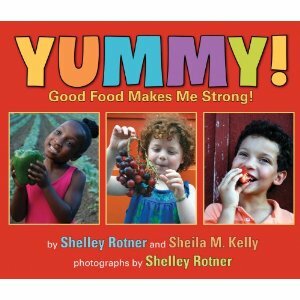 Just by the title of my blog you know I will love that book! 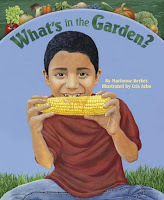 What's in the Garden? reviewed by Jeff Barger is making me wish it was corn on the cob season already! Ms Yingling features two baseball-themed books, Perfect Game and Miracle Mud, and makes me happy they moved to the miracle mud from spitting tobacco! 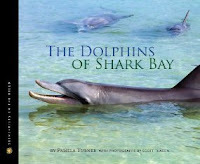 Loree Burns interviews author Pamela S. Turner about her upcoming book, The Dolphins of Shark Bay, about dolphins in Australia who use tools- how cool is that?!? 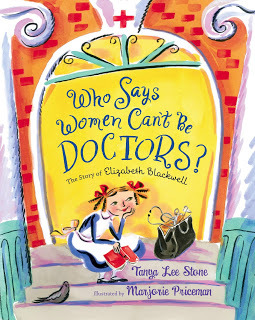 KidLit Celebrates Women's History Month features a post from author, Tanya Lee Stone, where she talks about the Trickle-Up Effect of fascinating nonfiction and her newest book about the first female doctor in the US, Who Says Women Can't Be Doctors? Roberta at Wrapped in Foil features a picture book biography of the inspiring Nelson Mandela by Kadir Nelson, and shares little known facts about his childhood. 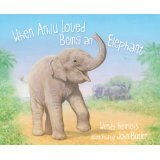 Our fearless founder, Anastasia Suen, shares a picture book about a retired elephant, called When Anju Loved Being an Elephant. 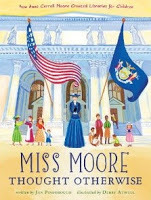 Jeanne Walker Harvey at True Tales with a Cherry on Top also shares the story of an groundbreaking woman, the woman who paved the way for children in libraries, called Miss Moore Thought Otherwise. 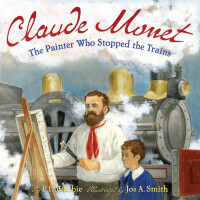 Reshama at Stacking Books shares how Claude Monet didn't listen to his critics and just kept painting the way he loved, and we are all better for it. 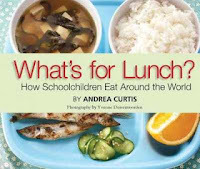 Jen at the Jean Little Library shares a book about what school kids eat around the world, What's For Lunch. I bet that the cover photo is of a Japanese kyushoku lunch, what other country serves its kids grilled whole fish with the eyeballs staring at you?!? Janet S introduces a book about conservation featuring frogs, The Case of the Vanishing Golden Frogs: a Scientific Mystery by Sandra Markle. Ami and her 6-year old son have a duo of books on basic construction tools, What Does a Level Do? and What Does a Hammer Do? These would be a hit with my kids! 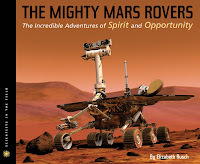 Jen Rothschild introduces a book that includes, space, robots, adventures, and the complexities of a scientific plan in The Mighty Mars Rovers. 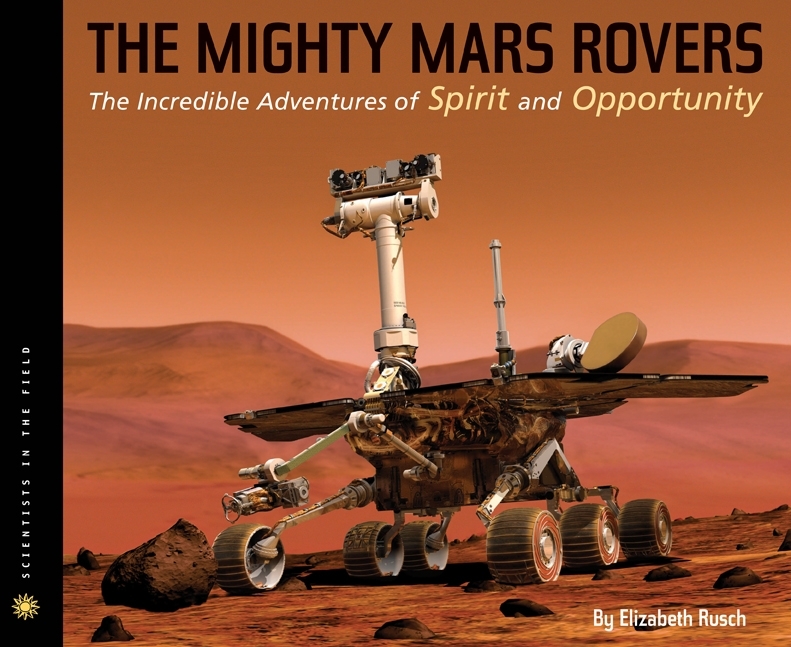 This would be great for anyone who has been following the saga of Curiosity, Spirit and Opportunity's successor. 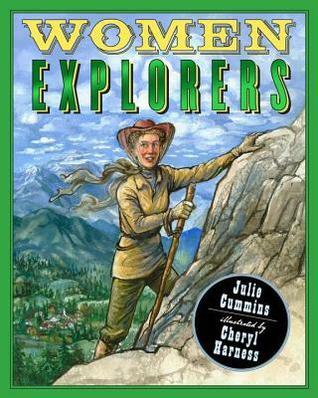 Heidi at GeoLibrarian asks why she had never heard of these adventurous Women Explorers before she read this book. 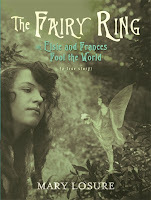 Hopefully this book by Julie Cummisn will redress this fact. Tammy at Apples with Many Seeds has a trio of inclusive books; Black Book of Colors, Chuck Close: Face Book, and She Touched the World. How people who are blind see colours has always been fascinating to me, glad there is a book with answers. 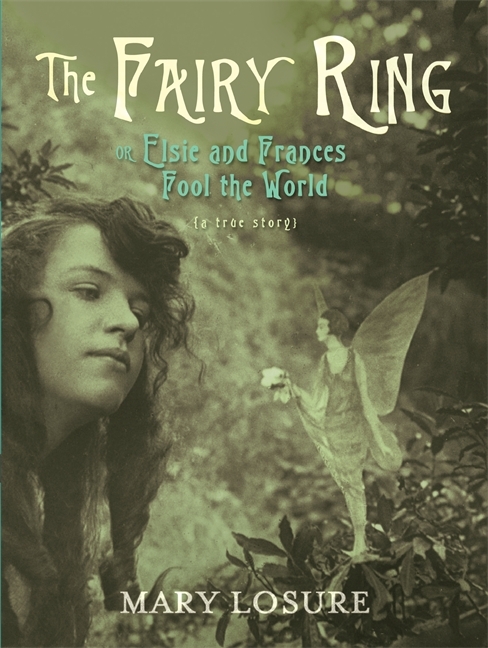 Bookends looks at two girls who fooled the world into thinking they'd taken photographs of fairies in The Fairy Ring by Mary Losure. My link will go live at 6 a.m. EDT Monday morning. Hope things are going well for you and thanks for hosting today. 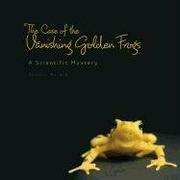 My selection is "The case of the vanishing golden frogs: a scientific mystery" by Sandra Markle. Thanks for hosting! I'm in with Mighty Mars Rovers from the Scientists in the Field series. I'm highlighting Women Explorers by Julie Cummins. Hi Jen. Thanks for looking after this week's event. 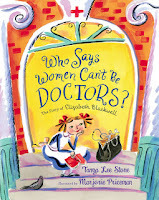 I've posted a workshop I recently did about children's literature for inclusive education. I've included both the nonfictional and fictional titles I recommended in this session. Thanks for hosting! 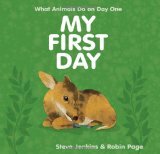 I reviewed My First Day, by Steve Jenkins and Robin Page, today at Sonderbooks. Thanks Laura, and sorry to everyone. I hope they are all fixed now.